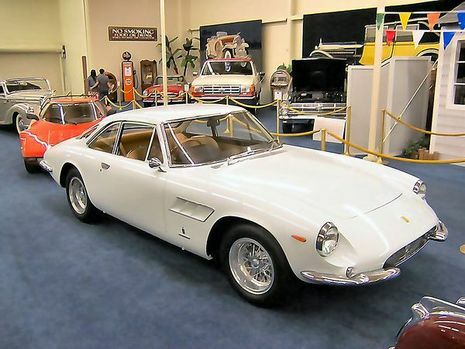 The end of the top-line America series was the 1964 500 Superfast. Early in development, and even into production, these cars were to be called "Superamericas", but the decision was made at the last moment to use "Superfast" instead. The engine was a 5.0 L Ferrari Colombo V12 engine, with 400 PS (294 kW; 395 hp) available now, pushing the car to 275 km/h (171 mph). The engine had the same dimensions as the Lampredi "long-block" engines of the 410 Superamerica. 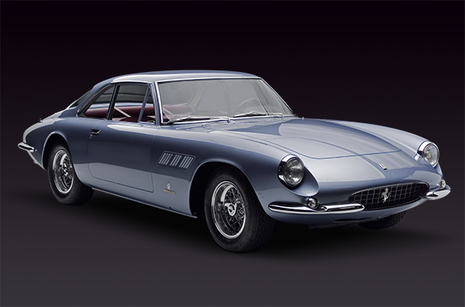 The chassis was based on the contemporary 330 GT 2+2, and bodywork was again done by Pininfarina. 37 cars were made to 1966, including 12 "series II" models with an updated 5-speed transmission. Only coupes were made and no Superfast roadsters were available.